The ocean surrounds New Zealand. On our land, there is a whole lot more water in our freshwater lakes and rivers. Therefore, fishing was very important to the Maori. Kai moana (fish and shellfish from the sea) played a key role in nourishing the people. 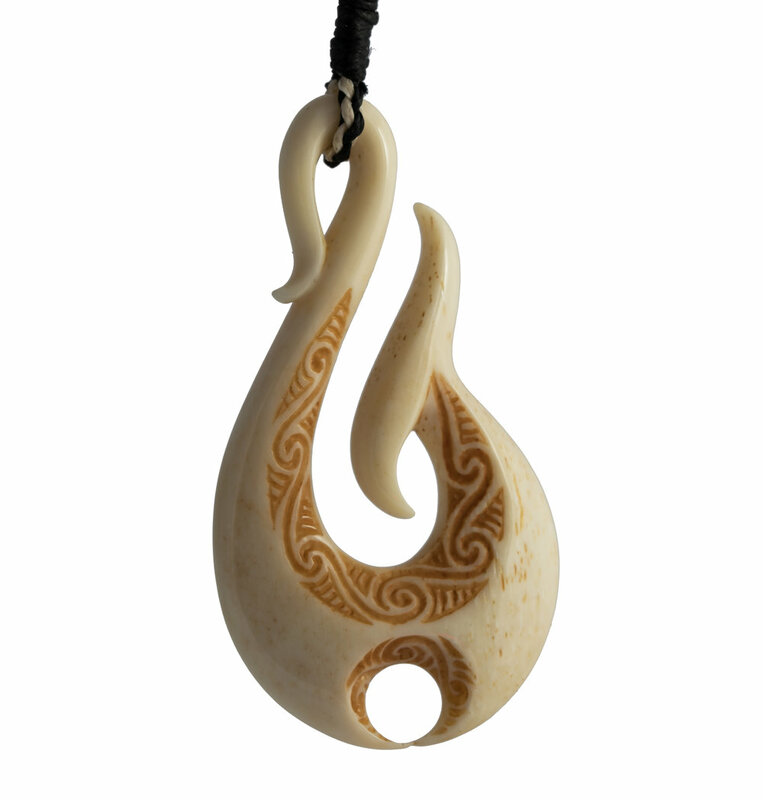 The ocean is represented by the flow of koru engraved on the front of the carving. It also represents a journey across water. This carving is called ‘Wayfinder’. The great navigators of the Pacific could find their way across vast oceans using the stars to guide them. At a spiritual level, this is symbolic of navigating our way to the deep inner peace that is within the nature of our own mind. This is represented by the hole in the bottom of the carving. Generally, as this pendant hangs around our neck, the hole is located at our heart level indicating that we can look deep into our heart for the answers. The koru surrounding this hole represents new growth and new life unfolding.